Item is a newspaper clipping announcing the death of John Willard Wry, written in Sackville on August 22, 1937. According to the text, Willard passed away in the Amherst hospital following an operation for the amputation of his right leg. 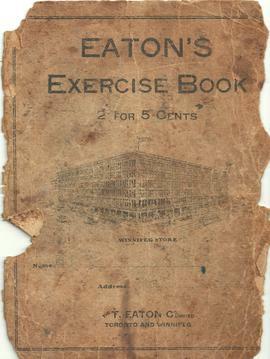 Item is a Eaton’s exercise book filled by Mabel (Wry) Alward with recipes that she frequently used.